EDIT: Fighting is no longer under embargo. See my review here. So… I went to see Fighting the other night. I wasn’t hugely in the mood because it was such nice weather and I wasn’t really looking forward to seeing it. What I didn’t realise was that it was going to be THE BEST SCREENING EVER. 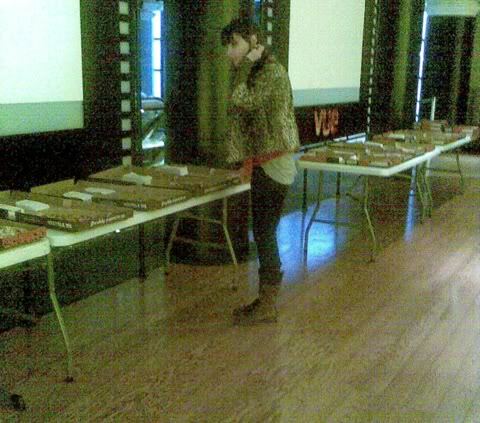 Just in case you can’t tell what that is, IT’S FOUR TABLES OF PIZZA HUT PIZZAS. Inevitably though, tragedy must follow delight and only about 25 critics turned up. There must have been a lot of very well fed PR interns that night.